Growth charts are amazing baby shower gifts and an adorable decoration for any little one’s bedroom. 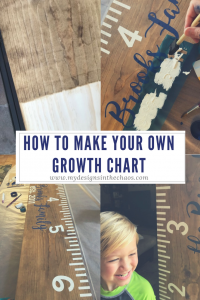 Today I’m going to show you how easy it is to make your own with this growth chart tutorial! 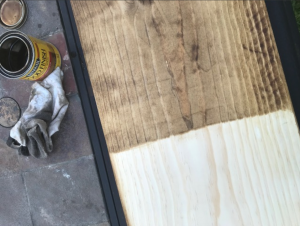 Once your wood is stained and 100% dry (let it dry for at least 24 hrs) the real fun begins. 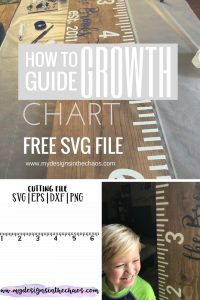 You will cut out the FREE ruler SVG design on the Oramask stencil. Weed as you normally would (pulling out all the parts you want painted on your growth chart). Then using the transfer tape, apply the stencil to the design. The video at the bottom illustrates this clearly for you. Once the stencil is applied you will paint. Peel up the stencil when you are done painting and then apply the screw and wire on the back to hang it. There you have it! 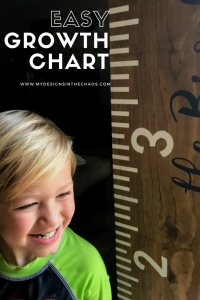 A beautiful growth chart to use in your own little ones room, house decor, or to give away as a gift that’s as easy as one, two, three. 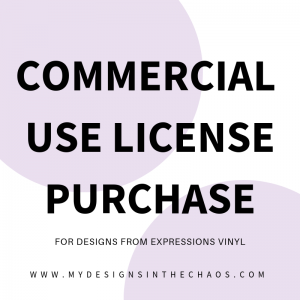 Find this post helpful or want to add it to your project list? Please pin it and share it with a friend! Disclaimer: I was not compensated for this post but will earn a small % of each sale as an affiliate and all opinions are 100% my own. How do you cut without a mat, probably a silly question. I have heard it voids the warranty. I haven’t heard that about voiding the warranty on the Silhouette. Just make sure to select no mat when cutting. 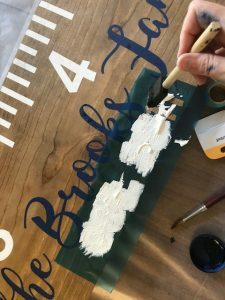 May be a dumb question… but .. How do you cut that large of a size on cricut?? You can cut without a mat on your Cricut… there are videos on youtube that show you how 🙂 Looking forward to making this! Cant wait! Thanks for the inspiration!